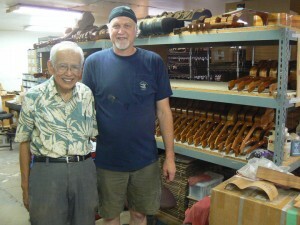 I had a nice visit to the Kamaka Ukulele factory with a 2hr tour and history lesson with 86 year old Fred Kamaka. It was great! I will write more about it later.